Colombia is a perfect holiday destination and with stabilizing security situation, it’s rising to the radar fast. The Caribbean beaches, archeological sites, mountain treks and other adventurous activities are some of the best in South America, and the Colombian Amazon remains relatively unspoiled, unlike Peruvian and Brasilian sides. Check out why you should book your next adventure to the country of magical realism! While Colombia has become tourist-friendly, its natural beauty remains unsullied. Beaches, mountains, and jungles, together with many small colonial towns, throw you into wild adventures veering off the beaten path. We loved the authentic feel of Colombia throughout our 4-week tour, even though we visited many famous attractions. Read on to see why Colombia stole our hearts to pick your favorites and take off to the pristine adventures before the masses arrive! 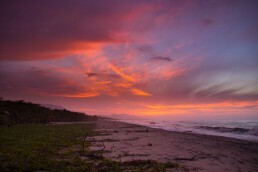 Tourism hasn’t spoiled Colombia’s best beaches. There are still endless, untamed jungle beaches on both Caribbean and Pacific sides. Small stretches beside the major cities like Cartagena and Santa Marta have their share of sun seekers, but just outside the biggest tourist draws spread the real gems. 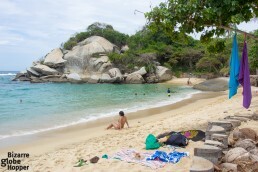 We loved our visit to a spectacular jungle beach between Tayrona National Park and Palomino. The unique high-altitude plains of Colombia, called páramo, once again scream out the concept of magical realism. Multi-day treks can take you to eerie high-altitude lakes and the snow-capped Andes. The largest páramo ecosystem of the world, Páramo de Sumapaz, can even be visited on a day tour from Bogotá, but it’s still a challenging, high-altitude hike. Good news is that you’ll only need to take a public bus from Popayán to San Agustín to get a glimpse of the surrealistic páramo landscapes. On a one month tour in Colombia, you’d probably like to visit San Agustín anyway, so the páramo will be conveniently on your route! Colombia’s rich history still vibrates in the air in the cobbled streets of lovingly restored colonial cities, between the man-sized statues of San Agustín, and in the vegetation covered ruins of ancient civilizations found deep in the jungles. Colombians love their heritage. 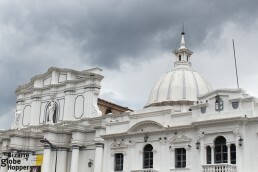 Bogotá has a museum for everybody, as the treasures are scaling from gold to remarkable South American art, the famed sword of Simon Bolívar (featured in Narcos, as well), ex-police headquarters, Pablo Escobar’s Harley Davidson and pistol, military uniforms, old prison cells, and Pre-Colombian mummies. Throughout Colombia, you’ll bump into indigenous tribes, from more than 70 tribes living in the Colombian Amazon to the biggest tribe called Wayúu that populates the La Guajira peninsula on the Caribbean coast. In Tayrona National Park you’ll meet the Kogi, descendants of Tairona people and in the Colombian Andes live other groups, such as the Guambiano that can be encountered in Popayán. Indigenous tribes form 3,5 % of Colombia’s total population making it the second most ethnically diverse country in America (right after Brazil). For me, the spirit of Colombian literary superstar Gabriel García Márquez was omnipresent in the form of “magical realism”. The myths, spirits, legends, and unbelievable stories linger below the visible surface of this multifaceted country. 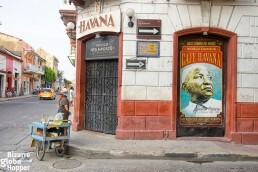 Colombians worship their “Gabo”: tours are run in his name and you can trample on his footsteps in Cartagena, Bogotá, Barranquilla, Mombox, and his hometown Aracataca. After the Netflix hit series Narcos, Medellín is facing a real tourism boom in the name of Pablo Escobar, on which we’ll shed light later on. Talking about culture, carnivals, salsa, football, and Roman Catholic influence shouldn’t be forgotten, either. Some might also add Shakira to this weird mix. 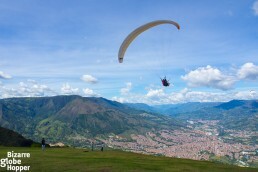 Airborne activities like parasailing and skydiving are offered in many cities, even outside “the adventure capital” San Gil. 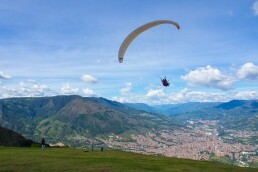 We tried our wings upon the green hills and red roofs of Medellín and will share the thrill in another post. Snorkeling and diving are divine on the shores, particularly on the Caribbean islands of Providencia and San Andres. 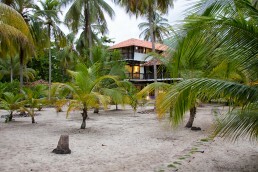 Even the reefs of the most popular tourist destinations, Tayrona National Park and Rosario Islands, are worth plunging. 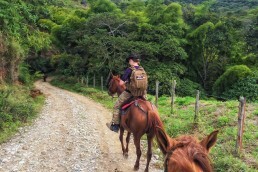 Horseback riding in Colombia is as good as it gets without fancy ranches and thoroughbreds. We were surprised how good the local horses looked throughout the country and galloped through the national parks of Tayrona and San Agustín respectively. Then there are unrivaled mountain treks, surfing, white-water rafting, rock climbing, and whale watching, making it hard to choose what to skip! Colombia is not yet famous for its archaeological sites, but it definitely should be. You’ve probably heard about the most hyped destination called the Lost City, Ciudad Perdida, which can only be reached through a popular multi-day trek. The more modest ruins of the same Tairona civilization can be visited in nearby Tayrona National Park. At the other side of the country, amidst emerald green hills and at the foot of the snowcapped Andes, lurk two less hyped but more important archaeological sites. Scattered around stunning countryside and jungle, the ruins of San Agustín make up the world’s biggest necropolis. The stunning stone statues, graves, and ceremonial sites can be reached by a leisure half day hike inside the archaeological park, another half day of horseback riding, and a half day loop with a jeep. Visiting the ruins on horseback feels adventurous and showcases the sleepy countryside at the same time. 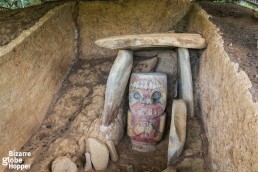 Tierradentro is the third destination for archaeological buffs with similar man-sized statues as in San Agustín and important underground tombs and burial chambers. Both San Agustín and Tierradentro are Unesco World Heritage Sites. While Cartagena is the most stunning colonial city we’ve ever visited, and we’re not alone with our affection, the story doesn’t stop there. Locals prefer smaller – and to their experience more authentic – Santa Marta over Cartagena. Even La Candelaria, the colonial barrio of Bogotá, will enchant you with blissfully preserved and charmingly crumbled colonial buildings, now housing world-class museums and restaurants. Photogenic colonial towns and tiny villages are sprinkled all around the country, all you need to do is to pick your favorite from the beauties such as but not limited to Villa de Leyva, Mompox, Jardin, Popayán, and Barichara! You don’t need to rough it to enjoy the splendors of Colombia. Hotel scene is developing rapidly with the new tourism boom, but in my opinion, only Bogotá and Cartagena have a full spectrum of luxury hotels and boutique hotels. Even in Medellín, it was a tough call to find an affordable, high-quality boutique hotel. Luckily many small towns receiving a steady number of tourists, like San Agustín, have a couple of attractive, though not luxurious, boutique hotels. Check out our list of affordable boutique hotels in Colombia! One of the biggest surprises for me was the level of cooking and the sheer amount of brilliant culinary experiences we encountered in Colombia. Regional cuisines are strong, but some stables, like patacones (fried plantains), arroz coco (coconut rice), and arepas (fried corn cakes) are found everywhere. Fruits and vegetables are, naturally, delicious. Meat and fish tend to be perfectly cooked. In bigger cities like Bogotá, Cartagena, Medellín, and Santa Marta we ate our way through fabulous international restaurants. From local treats, we loved the aji picante in Medellín, spicier foods like curries on the Caribbean coast, and Amazonian fish dishes. The Colombian food was the best we’ve had on the continent. Also, as coffee geeks, we haven’t tasted better local coffee in any country, though we’ve visited several renown coffee producers like Tanzania, Kenya, and Nicaragua. If you’d like to get caffeinated and find the best cafés in Bogotá, click here. The mass-produced local beer brands – Club Colombia, Àguila, and Poker – rose to near the top of our list the best local beers. Club Colombia Dorada (golden) and Roja (red) were our undisputed favorites. Although Colombian microbreweries didn’t win our hearts, I believe that scene is developing fast, as well. 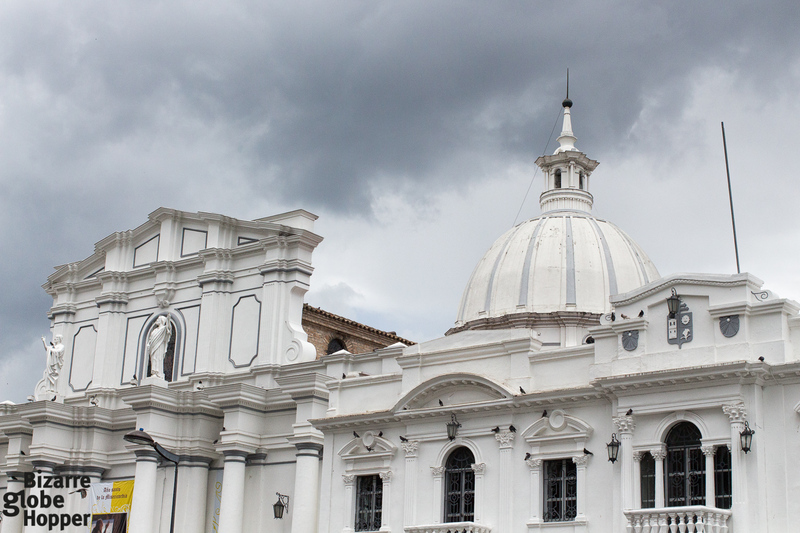 If you yearn to see the many faces of Colombia, you’ll need to visit several districts. But Colombia is bigger than you’d imagine: distances are long. Mountains and unpaved roads make drives both exhausting and unpredictable. Luckily, with a bit of travel hacking, you can fly around rather affordably. For example, we preferred 30 $ flight from Bogotá to Cartagena (1,5 hours) over a bus trip of the same cost (27 $) that would have lasted more than 18 hours. Still, many foreign tourists use long distance buses, since they cannot book cheap flights. Learn our flight hacks and book cheap internal flights to crown your trip in Colombia! After a long list, there’s still something “more” about Colombia that remains obscure and hard to describe. I’ll label it into relaxed atmosphere and friendliness of Colombians, though that’s not the whole story here, either. I could label it into “magic of Colombia” or “the magical realism”, as well. 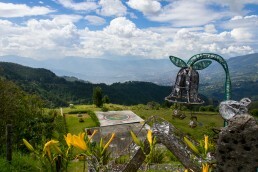 The ambiance is very welcoming everywhere, from the tiny jungle and mountain villages to the barrios of the big cities. If you need any help and try to express yourself in broken Spanish, there’s always somebody who’ll take care of your problem. Part of the spell is the natural beauty of the countryside and mountains, for sure. The other half could be the myths and legends rooted in the culture: the stories about spirits and ancestors that Colombians have been telling their kids for centuries. People appear happy – and that makes me smile, as well. After my lengthy confession, why would you love to visit Colombia? If you’ve already lost your heart to this magical country, why you’d recommend it to other travelers? Please share the love in the comments below. After all the political struggles, Colombia deserves more visitors and positive reputation – it’s an amazing destination for adventurers, families, beach bums, mountaineers, history buffs, coffee geeks, and even foodies! I am convinced! Colombia is on my bucket list already, Nina! Your post was truly inspiring! It’s so often that you hear Colombia may not be a safe place to travel. I think it’s such a misconception, thank you for sharing this post, the pictures are beautiful! I do hope to visit Colombia one day soon!